I read this article and found it very interesting, thought it might be something for you. 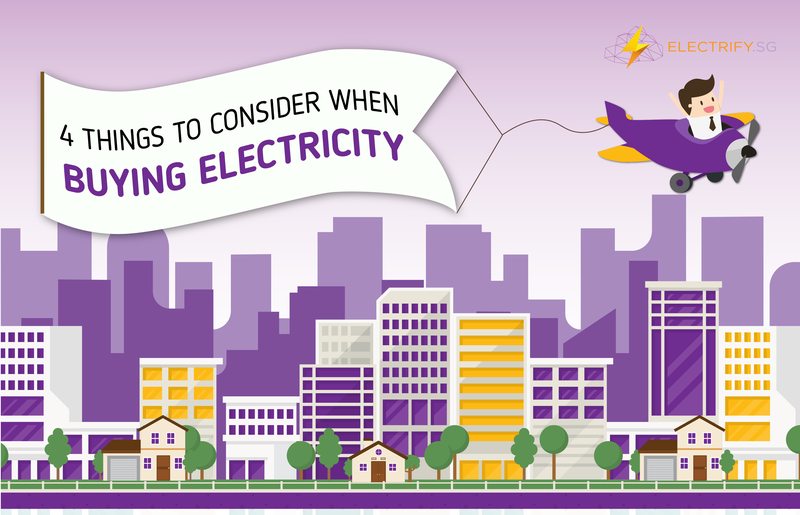 The article is called 4 Things to Consider when Buying Electricity and is located at https://electrify.sg/content/articles/4-things-consider-buying-electricity/. Freedom of choice is just around the corner! With the Open Electricity Market expected to launch in November this year­—starting from zones with postal codes beginning with 58 to 78—there’s no better time to start researching and planning how you want to buy your electricity. Early preparation is always necessary to ensure you don’t miss out on the best deals. To help you with your research, we’ve prepared a list of things you’ll need to consider before you commit to any sort of contract. How long are you willing to commit to a contract? Generally, the shortest contract duration starts from 6 months. If you’re sitting on the fence, unsure if a plan works for you, don’t be bound by a long-term contract. Shorter-term could be the one for you. Contrarily, you can lock in on a 1-2 years plan for maximum cost savings, if cost is your top priority, and you’re confident that the selected plan is what’s best for you. If you’re more about getting the bang for your buck rather than just low prices, you should look out for retailers that bundle in value-added services and incentives such as loyalty benefits, referral rewards, and more. Most people look out for the best deals but for others, buying from a brand they’re most familiar with is what matters most, as it gives them peace of mind, regardless of how much they’re paying. If you’re one of those people, buying from a reputable retailer would be a top priority for you. For those who prefer paying a fixed rate per kilowatt hour throughout the contract period, without having to monitor SP’s quarterly fluctuating rates. For those who want to enjoy maximum savings all year round through a fixed percentage discount off the tariff set by SP. For those whose houses are vacant during the peak hour, where most electricity-consuming appliances are only used during the off-peak period. This should not be a concern for you if you choose the fixed or discount-off-tariff plan. For peak and off-peak plan, a Smart Meter installation is compulsory to calculate your consumption level during these time frames. When does your current contract expire? This will determine the commencement date of your new contract. What are the termination clauses, should you be dissatisfied with the services provided? Read through and familiarise yourself with the terms and conditions to avoid potential conflicts. Once you’ve sorted out these considerations, head over to ELECTRIFY.SG to start comparing price plans. We are Singapore’s first retail electricity marketplace helping residential and business consumers compare energy plans with ease. All you need to do is provide us with some basic information about how you consume electricity. ← OEM Launch: What This Means for You?